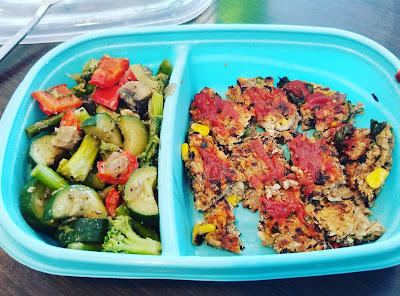 I have tried a few veggie burger recipes and they usually crumble and don't stay together. I found this recipe and made some changes. Mostly because I like adding veggies when possible because it can be hard to eat enough in a day. Again I didn't take pictures because I was being lazy and was trying to get them done fast. I made these on Sunday morning while waiting for breakfast to be delivered (it was Indian food, a ton of calories, and soooo delicious!). Hello! I hope everyone is doing well and you're crushing your goals. 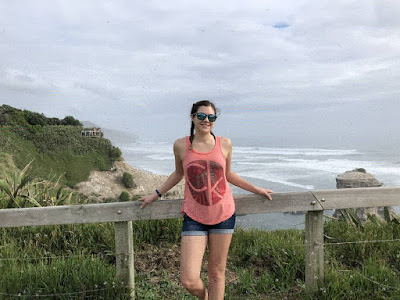 I hope you had a chance to check out my travel blog about our trip to New Zealand. If you haven't and you'd like to see the pictures, the link is www.kelseystravelpics.blogspot.ca. Can we also just take a moment to talk about how long January felt?! I swear it felt like 3 months, and now February and March just zoomed by. I've been struggling with my workouts the past few months so have been quiet on my Instagram and on here. I just haven't been making exercise a priority and I have to change that. Saturdays used to be my 'go hard' days and I can't seem to get a workout in at all on weekends. I also stopped working out as soon as I get home after work so I'll be getting back into that. Hey friends! 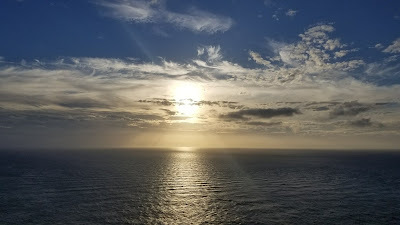 I decided to make a separate travel blog to post about my travels. This year was New Zealand. I just got back yesterday so I'm working on each day with lots of pictures but I have to first two days posted about already.